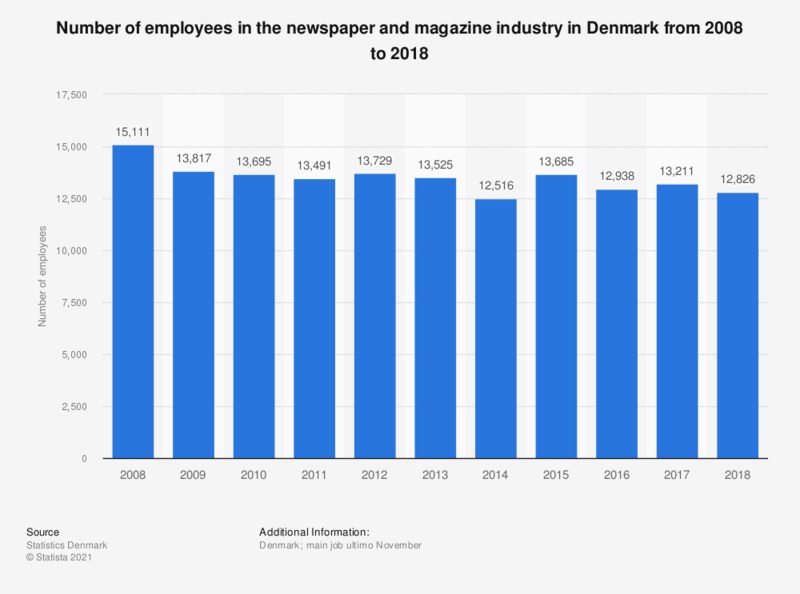 This statistic displays the number of employees in the newspaper and magazine industry in Denmark from 2008 to 2016. In 2016, 12,938 people were employed in the newspaper and magazine industry in Denmark. Statistics on "Printed media in Finland"